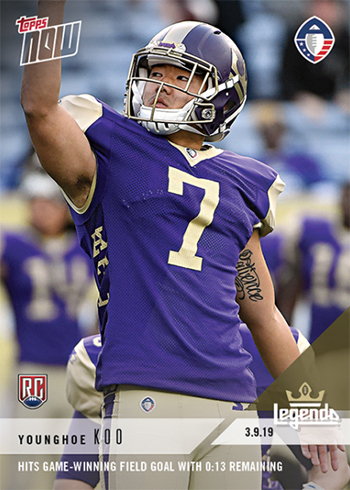 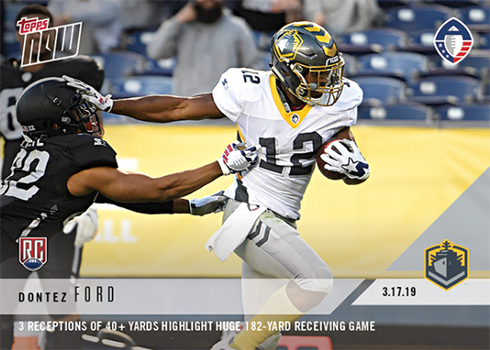 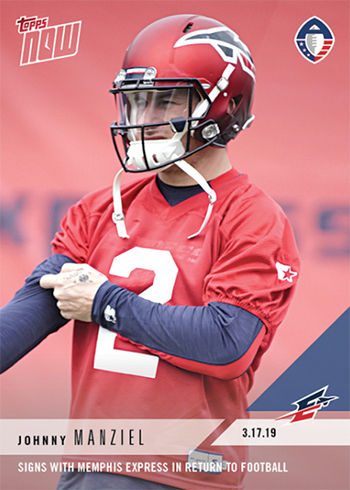 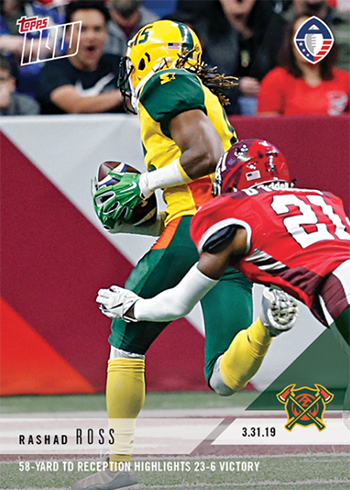 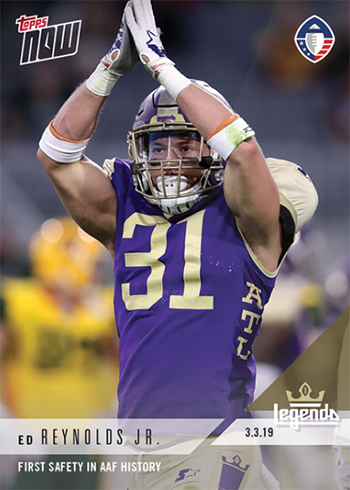 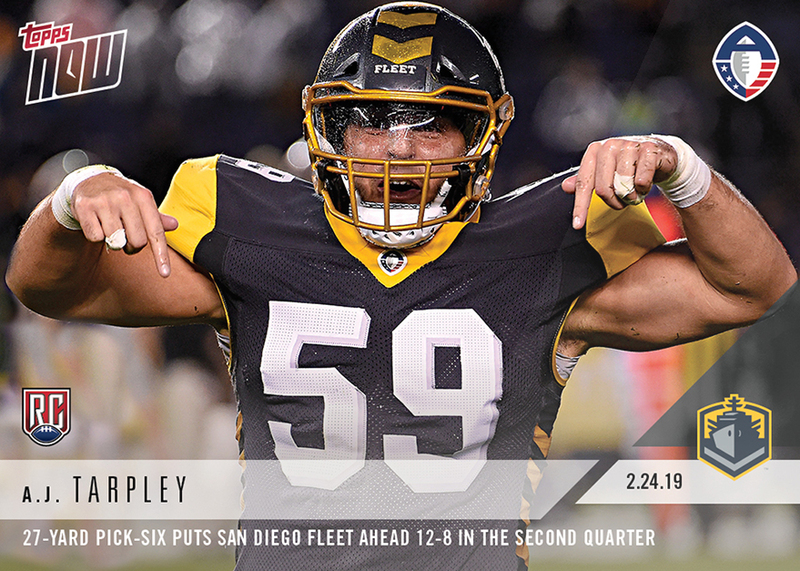 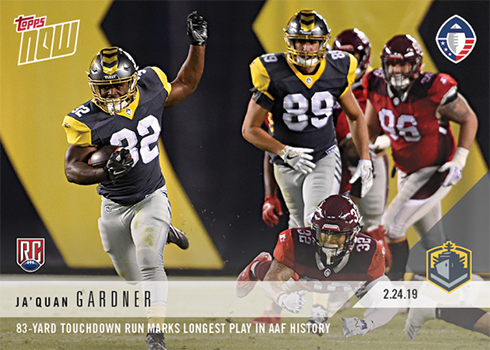 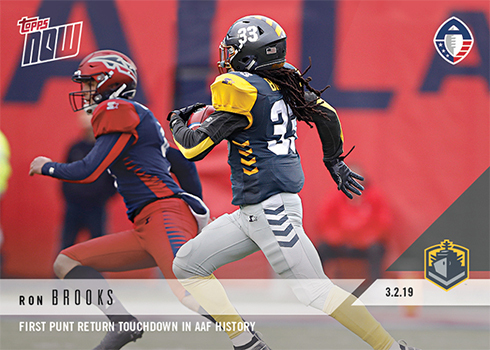 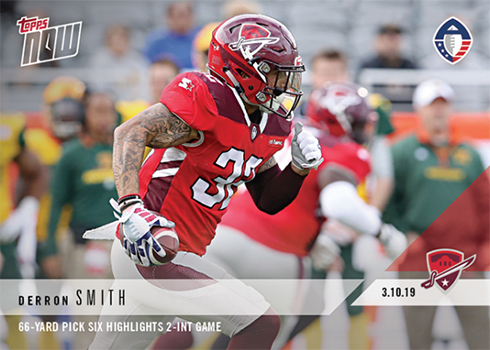 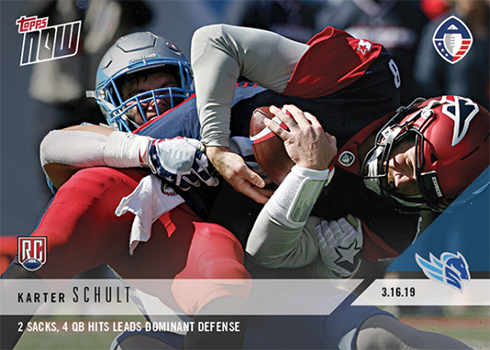 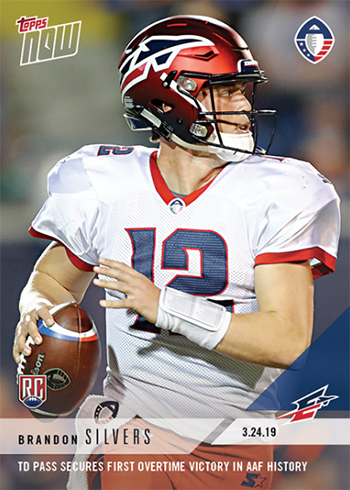 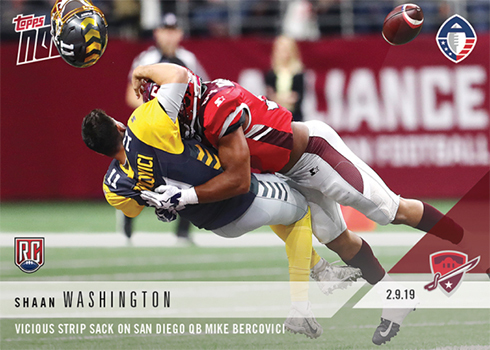 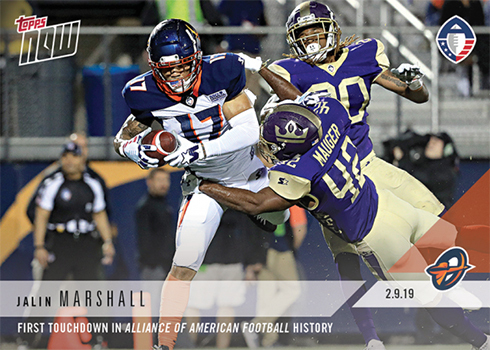 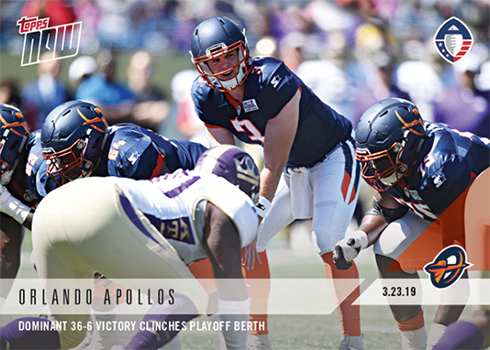 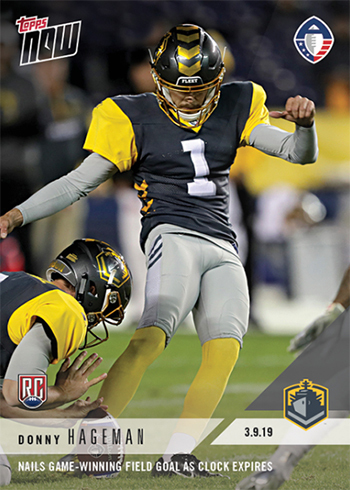 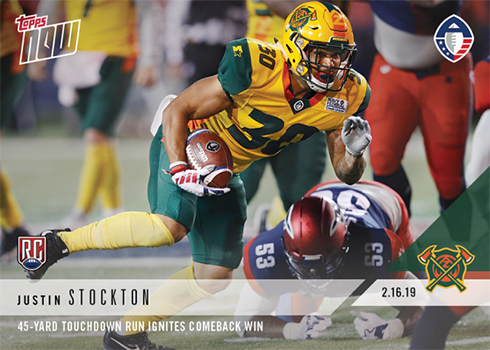 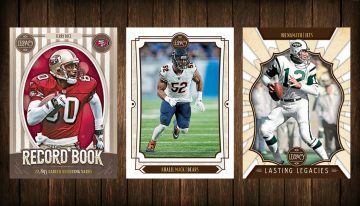 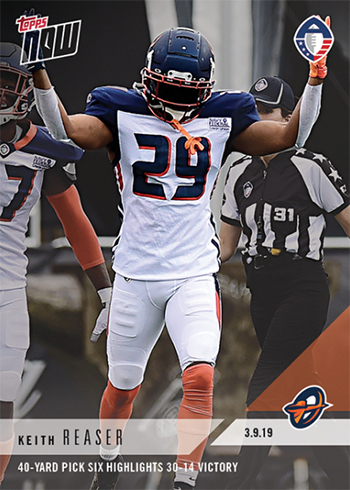 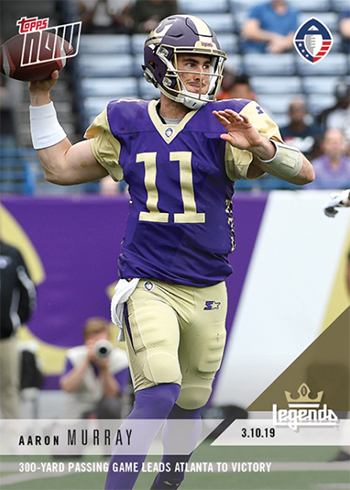 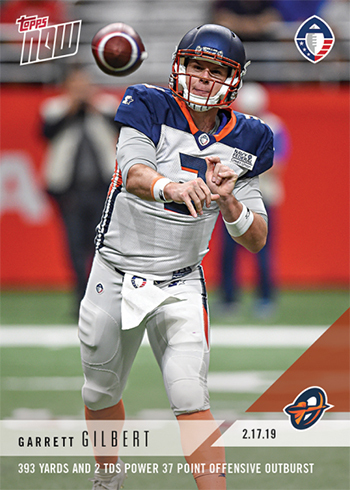 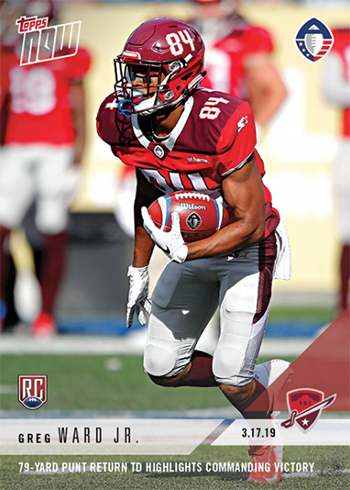 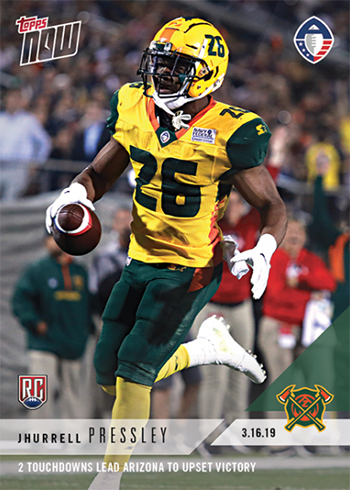 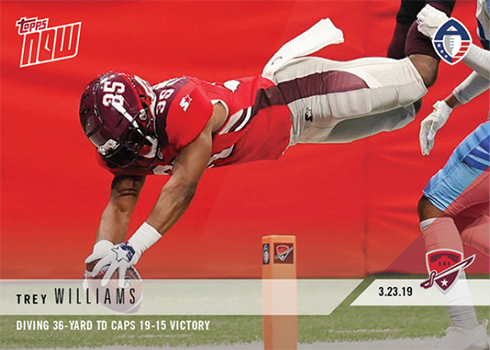 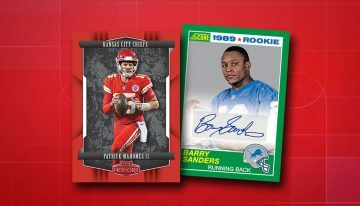 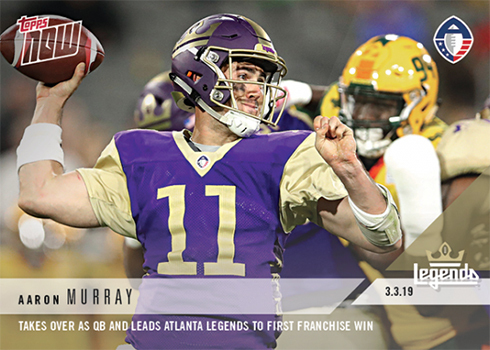 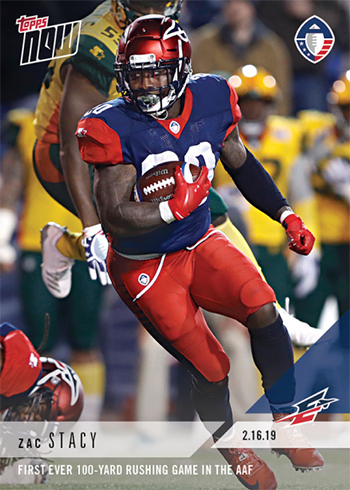 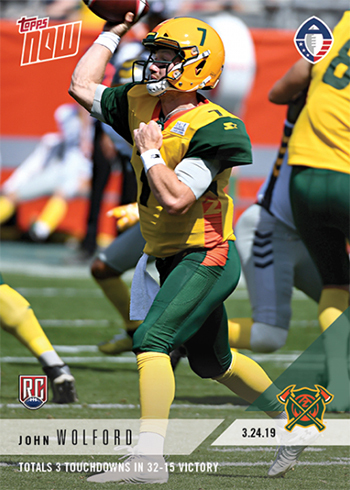 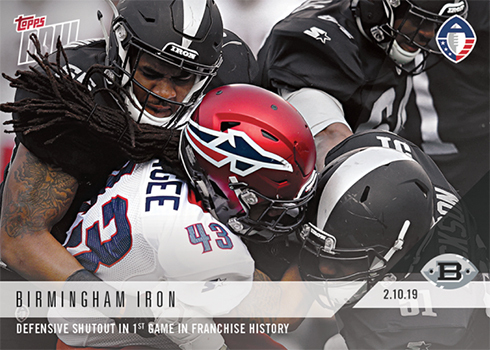 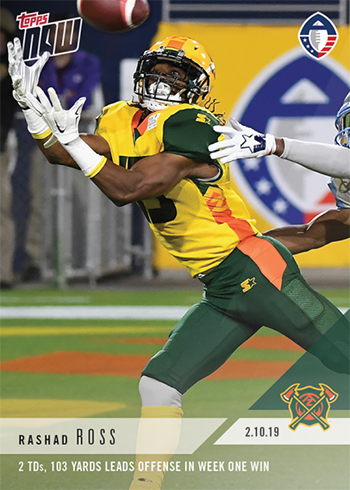 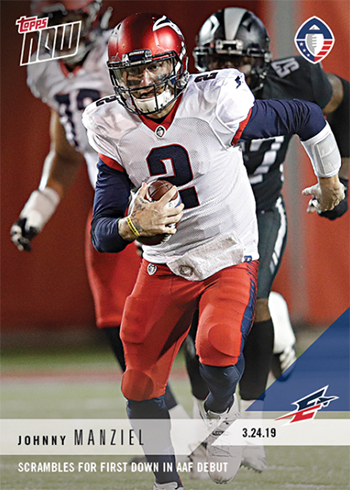 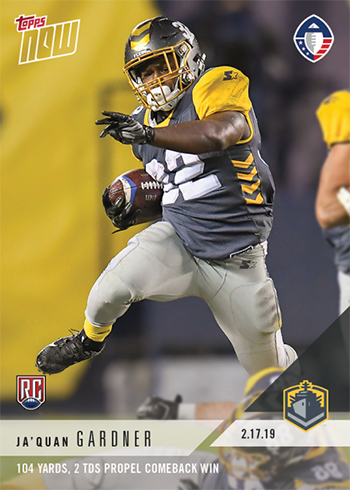 2019 Topps Now AAF Football captures the action and events of the Alliance of American Football’s debut season. 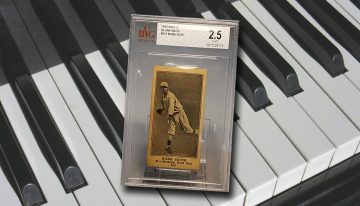 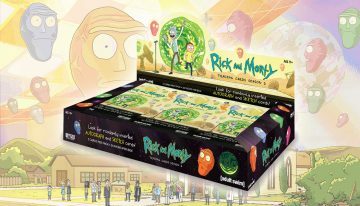 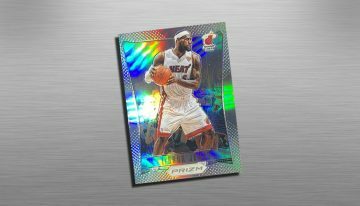 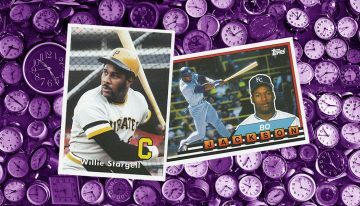 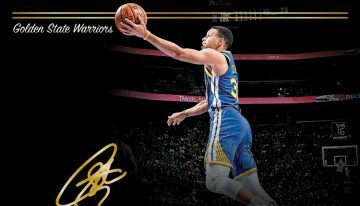 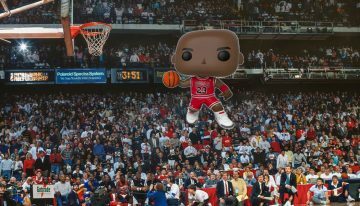 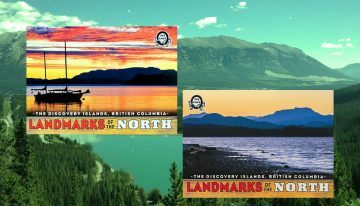 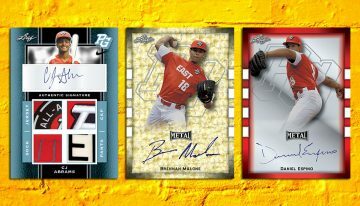 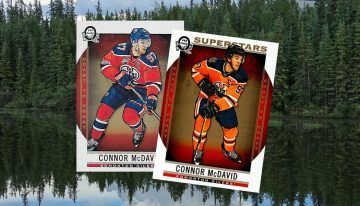 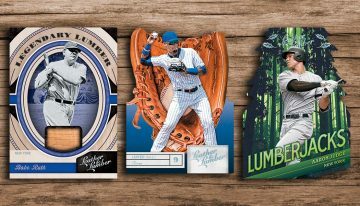 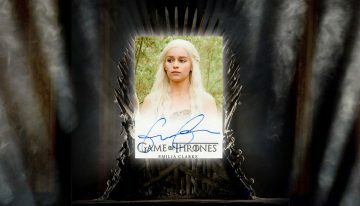 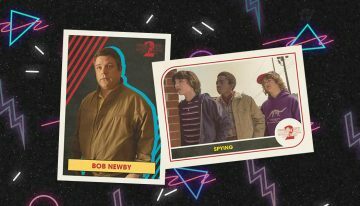 Available exclusively on the Topps website, the set has a print-on-demand format. 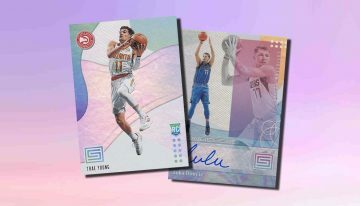 Cards go up for sale with a 24-hour window. 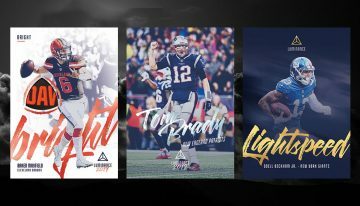 What’s ordered is what gets printed. 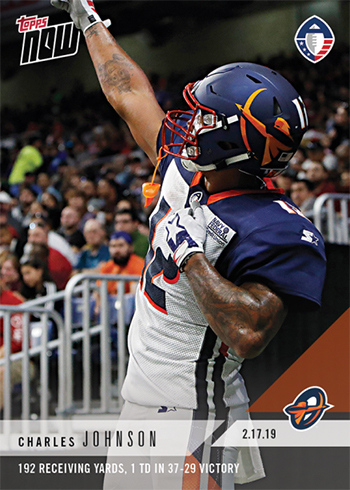 Once things are tallied, print runs are announced. 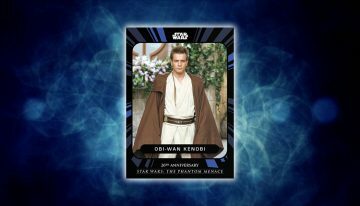 This means varied quantities for different cards. 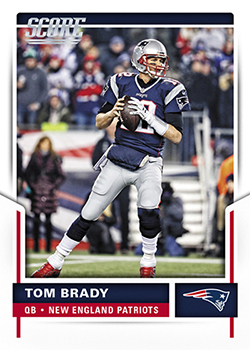 If you’re buying individual cards, the cost is $9.99. 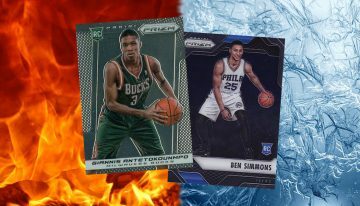 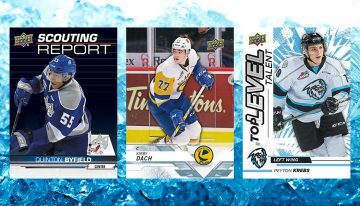 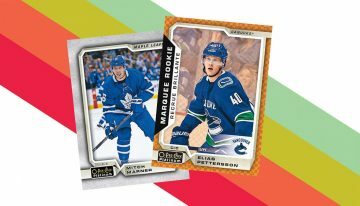 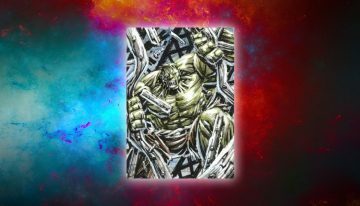 Discounts are available for bundles of the same card as well as the week’s set. 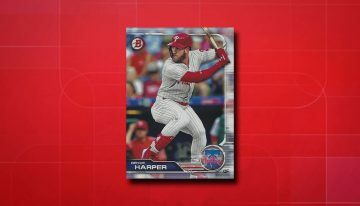 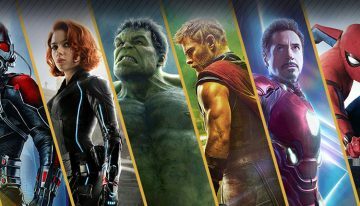 Often, Topps Now cards can be found for a discount on eBay as well while they’re still available for pre-sale. 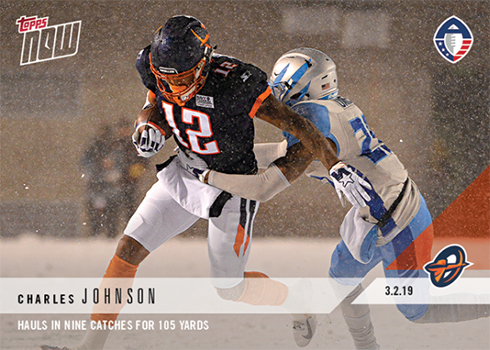 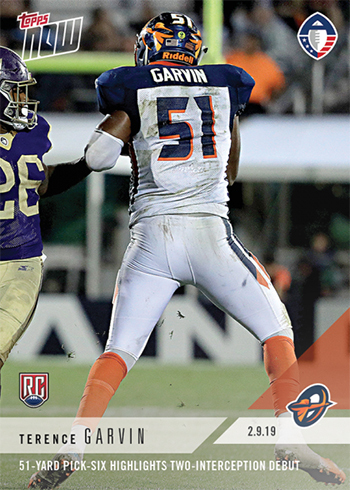 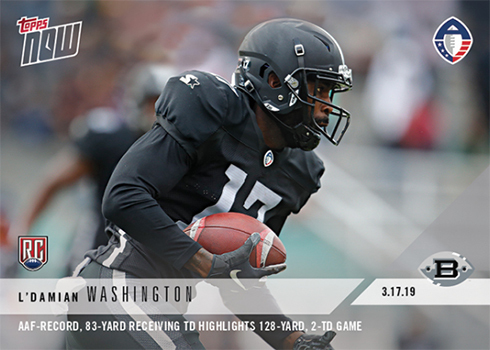 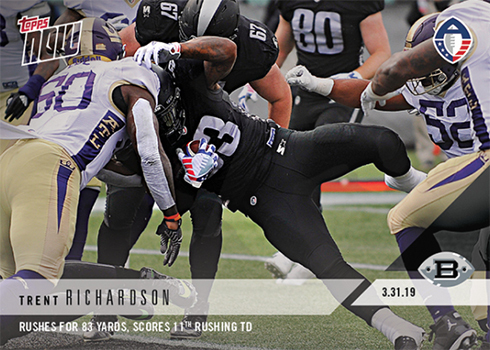 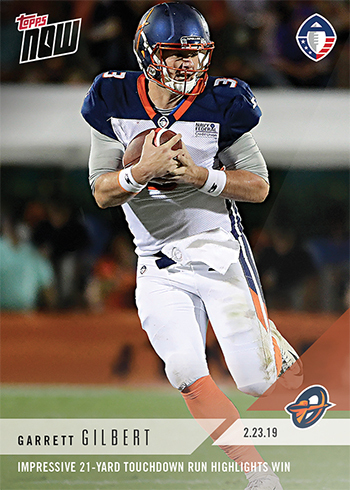 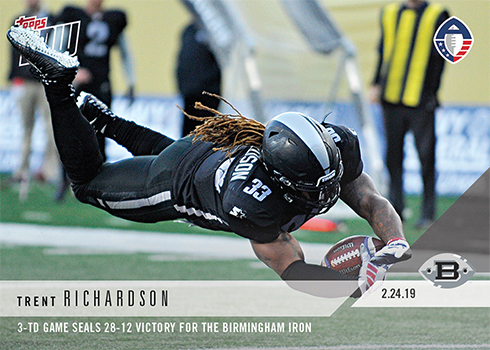 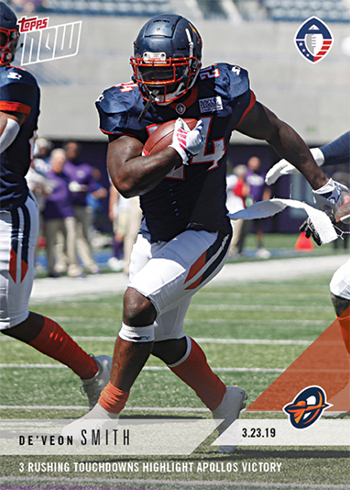 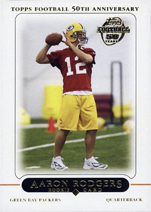 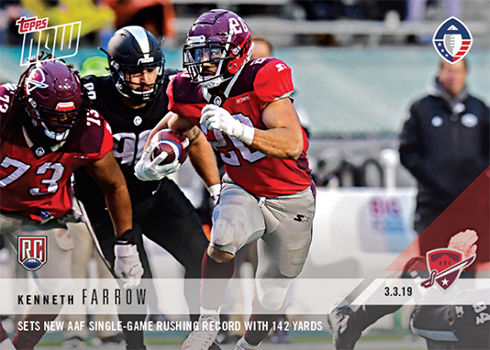 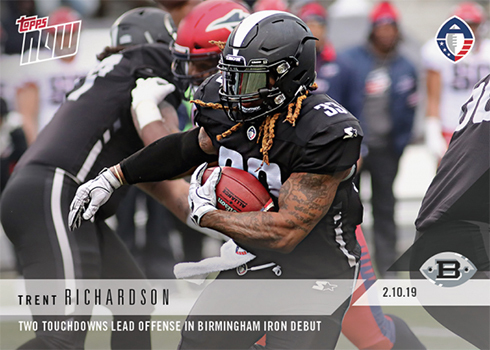 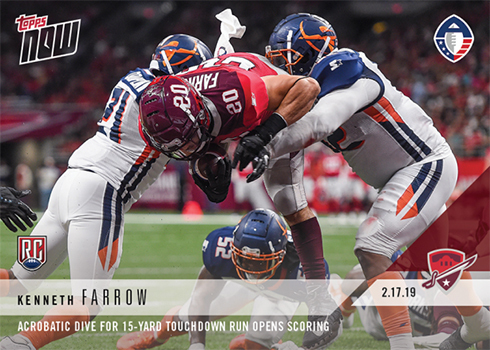 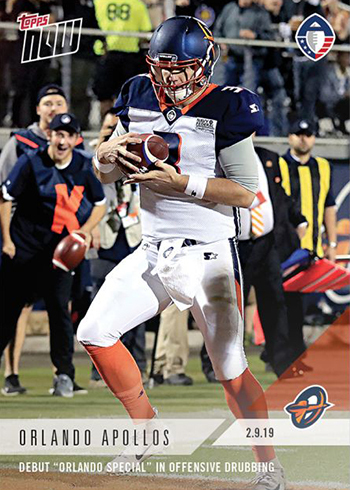 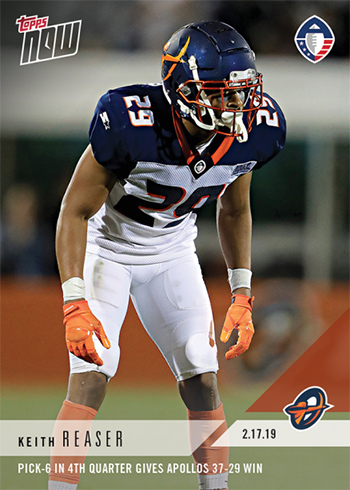 While players get the spotlight, 2019 Topps Now AAF Football is more about the story of the season. 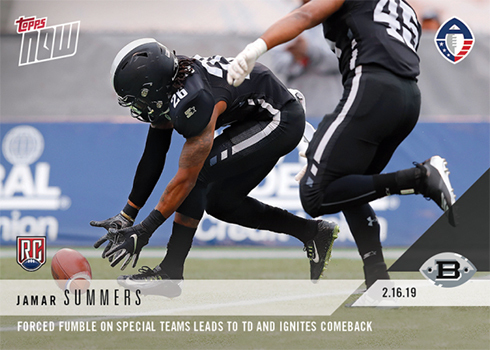 It’s the big plays, moments , milestones and more. 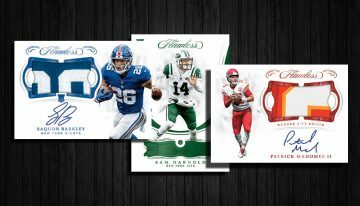 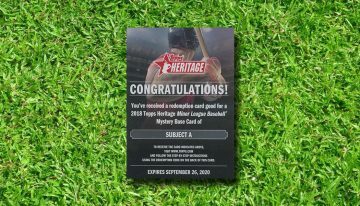 In addition to 2019 Topps Now AAF, the card maker has a traditional Alliance of American Football set that comes in packs as well. 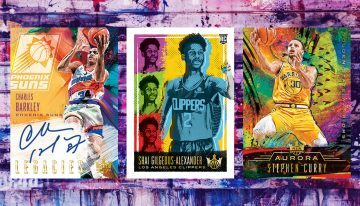 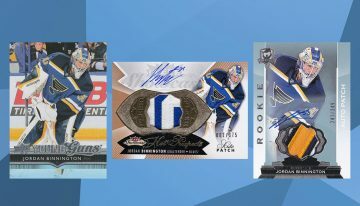 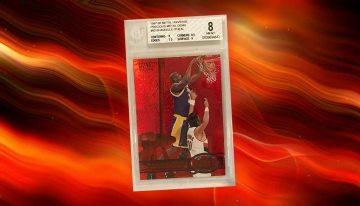 If you’re looking for a specific card, click on the link to see what’s currently available on eBay.